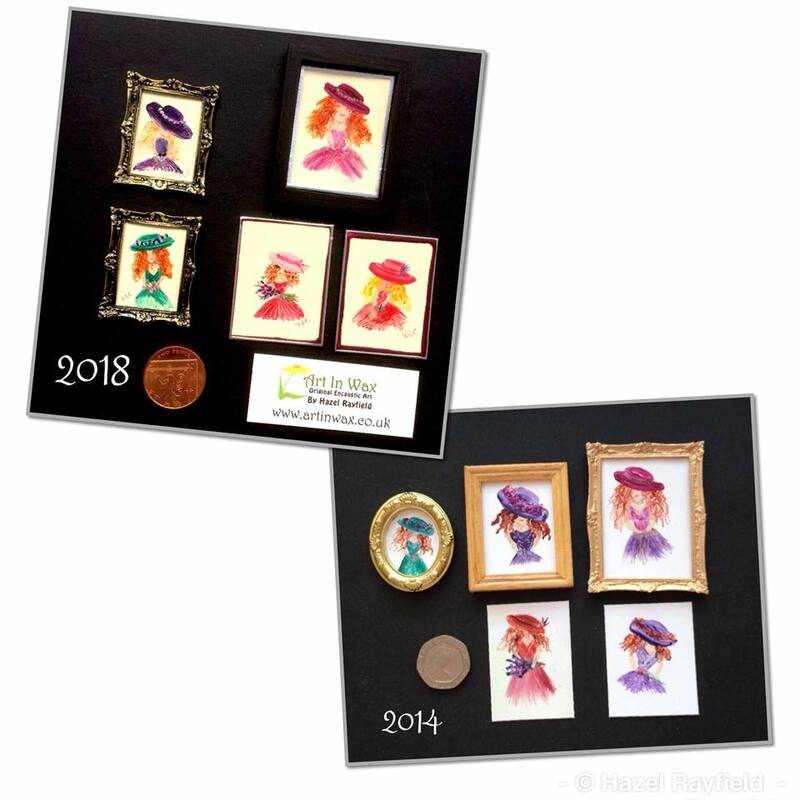 I originally painted my first “sassy ladies” back in 2014 and this week I have been painting some more…….. They are portrait style pictures but with a twist, the idea being that they are not the full painting but a sort of cameo like idea so you see part of the dress etc. 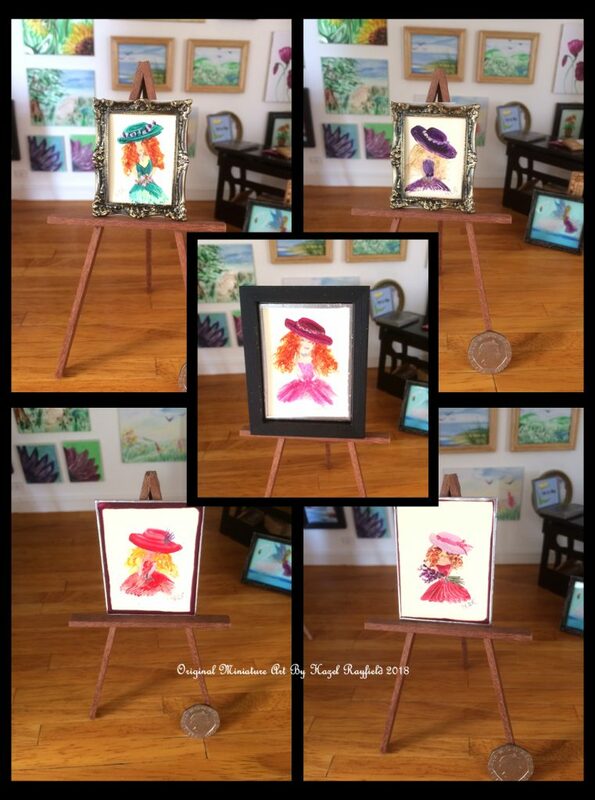 These fun pieces were very popular a few years ago and they were just as much fun to paint this week. Last time they were on white card this time I’ve painted them on cream card. Miss Daisy in her purple hat. Shown here in a tiny metal frame. Approximately 1 3/4 x 1 3/8 inches. Miss Lillian in her green hat. Shown here in a tiny metal frame. Approximately 1 3/4 x 1 3/8 inches.